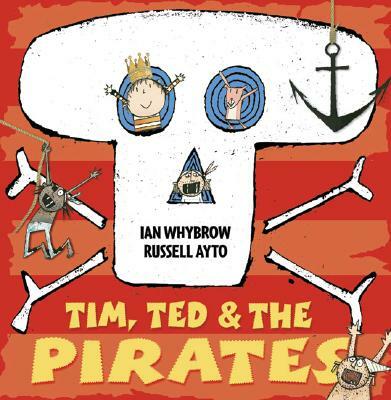 It's story time at school, when all of a sudden—splash!—the classroom fills with water and Tim and Ted find themselves taking part in a swashbuckling nautical adventure. Can they rescue stolen treasure from the pirates before Tim's mom comes to pick him up at the end of the day? Rhythmic, rhyming text and humorous illustrations make this action-filled story perfect for reading aloud. Ian Whybrow has written more than 60 books for children, including "A Baby for Grace, "nominated for the Carnegie Medal; "Harry and His Bucket Full of Dinosaurs"; "Little Wolf's Book of Badness"; "Quacky Quack-quack!, " nominated for the Smarties Prize; and "Where's Tim's Ted?" Russell Ayto is the illustrator of such titles as "One More Sheep," shortlisted for the Kate Greenaway Award, "Where's Tim's Ted," and "The Witch's Children and the Queen," for which he received a Smartie's Book Prize Gold Medal. "Simple but delightful fantasy tale of a little boy looking for his teddy . . . beautifully written in verse . . . and Russell Ayton's quirky drawings are bound to appeal to children of all ages." —Kirkus on Where's Tim's Ted?